Most people are aware of the influence of Karl Marx and his ideological compatriots in building 20th-century totalitarianism. But there is another tradition of thought, dating from the early 19th century and continuing through the interwar period, that took a different route in coming to roughly the same conclusions regarding the place of the state in our lives. As opposed to Marx’s “left-Hegelians,” these thinkers are part of the “right-Hegelian” movement who dispensed with the universalism of Marx to applaud nation, race, and war as the essence of life. These thinkers also loathed commercial society and capitalism in particular. They saw enterprise as soulless and culturally destructive, lacking in the higher meaning that only centralization and planning could provide. Instead of trying to create some mythical future based in some fantasy of a new socialist man, they sought to beat back capitalism by clinging to the old order of government power, privilege, hierarchy, nationalism, and racist control. Their imagined future looked like the pre-capitalist past they idealized. These five thinkers appear in chronological order. In the prehistory of the alt-right, I mapped the big thinkers. Here we have some more minor and eccentric players in the evolution of an anti-capitalist right. 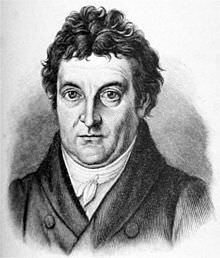 Johann Fichte (1762-1814) was the philosophical founder of Germa n idealism, writing and teaching a generation before George Friedrich Hegel, and the first of a long line of obscurantist philosophers whose ideas somehow land with one solid political application: build a huge state led by one heroic dictator. It was he, and not Hegel, who first posited a meta-narrative of historical waves that could be characterized as thesis, antithesis, and synthesis. In politics, he was a huge fan of Napoleon, but found himself devastated by the crushing victory of France over German territories, which motivated his “Addresses to the German Nation” (1808), the most influential lecture series on education to appear in the modern world. Here was the first complete outline of what German nationalism should look like. His template for what became fascist (right-Hegelian) thought is entirely predictable: statism, nationalism, loathing of the merchant class, and protectionism, spiced up with the inevitable doses of misogyny (“active citizenship, civic freedom and even property rights should be withheld from women, whose calling was to subject themselves utterly to the authority of their fathers and husbands”) and anti-Semitism (granting rights to Jews requires we “cut off all their heads in one night, and to set new ones on their shoulders, which should contain not a single Jewish idea”). 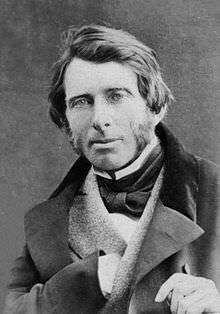 John Ruskin (1819-1900) is inexplicably revered to this day as an aesthete, artist, and champion of small crafts, whereas in truth he was an absolute hater of commercial capitalism, laissez faire liberalism, and the modern world. A hugely influential thinker of the Victorian period, he romanticized a mythic England from the past, in which art and good taste prevailed over commercial frenzy and wealth-making. “I was, and my father was before me, a violent Tory of the old school,” he said. In his view, he completely agreed with his friend Thomas Carlyle that the forces unleashed by Adam Smith and the Scottish Enlightenment generally had destroyed the artistic sensibilities of generations, and they needed to be recaptured through a strong planning state. 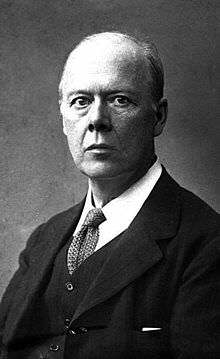 Houston Stewart Chamberlain (1855-1927) is an exceedingly strange figure in the history of politics and ideas: a British-born German whose influence bled into Germany and back again to his home. As son-in-law to the famed composer Richard Wagner, he became a dear friend and fanatical admirer of Adolph Hitler and the most aggressive proponent of virulent anti-Semitism ever to come out of England. He had decided early in life to locate the source of all political and economic evil in the Industrial Revolution, preferring his own made-up vision of what he called “Merry Old England” consisting of a beautiful aristocracy, hard-toiling and thrifty peasants, and patriotic citizens dedicated to preserving the language and race against the commercial forces of modernity. Under these conditions, unlike the demographic mess unleashed by capitalism, women were submissive to the wills of their fathers and husbands, devoted only to furthering the superior race. His weird 1899 book The Foundations of the Nineteenth Century became a bestseller, many times over, throughout the Continent. Heavily influenced by the racial typologies that were increasingly popular, he described the Jews as mindlessly materialistic and the source of most evil in the modern world. His book, which was printed in eight editions in the first ten years of its publication, and eventually sold as many as 250,000 copies by 1938, catapulted him into the status of a celebrity intellectual. And so his every utterance became gospel for his followers, even his proclamation that the Great War, which he believed the Jews had started, had led England “totally into the hands of the Jews and the Americans” and capitalist machinery. After Hitler’s conviction of high treason following the Beer-hall putsch, Chamberlain stuck by him and kept hope alive. Hitler was touched, and, following Hitler’s release from prison, Hitler paid a visit to Chamberlain in Bayreuth in 1927, accompanied by Goebbels. Chamberlain assured Hitler that he was certainly “the chosen one,” thereupon lifting Hitler’s spirits. The leading Nazi in-house philosopher, Alfred Rosenberg, was perhaps an even greater fan of Chamberlain. An ailing Chamberlain died in 1927, never knowing of the Nazi attempt to deal with the “Jewish problem” he had dedicated his life to exposing. Giovanni Gentile (1874-1944) might be the most clownish and ridiculous of all the figures mentioned here, but he was a big shot in his time. He aspired to be the Marx of fascism, a leading theorist of the idealist tradition who finally put together the essential pieces of a thorough-going non-Marxist statism. His writings enjoyed some degree of fame in America in the interwar period, working on his own writings and ghost-writing for Benito Mussolini who was frequently solicited for American-published academic writings in the 1920s. A nation can under no circumstances exist prior to the form of its State … a State is always a future. It is that state which this very day we must set up, or rather at this very instant, and with all our future effort bent to that political ideal which beams before us, not only in the light of a beautiful thought, but as the irresistible need of our own personality. The nation therefore is as intimately pertinent and native to our own being as the State, considered as Universal Will, is one with our concrete and actual ethical personality. And so on for 250 pages. Despite the relentless statism of his vision, and his love of centralized power and planning, Gentile’s writings lacked some features that characterized other works in this genre. It is mercifully free of racism, perhaps because of his region of origin. He was Sicilian, and thereby belonged to a people who had been demonized by American thinkers as dysgenic since the 1880s. Indeed, if it is possible to talk this way, Gentile was a relative liberal among the fascists of the period, having criticized German anti-Semitism and having met his death at the hands of an anti-fascist mob having returned from arguing for the release of anti-fascists from prison. The opposition of individual and State is the typical political expression of a corruption so deep that it cannot accept any higher life principle, because doing so would vigorously inform and contain the individual’s feelings and thoughts. Fascism was, therefore, a political and moral movement at its origins. It understood and championed politics as a training ground for self-denial and self-sacrifice in the name of an idea, one which would provide the individuals with his reason for being, his freedom, and all his rights. The idea in question is that of the fatherland. It is an ideal that is a continuous and inexhaustible process of historical actualization. It represents a distinct and singular embodiment of a civilization’s traditions which, far from withering as a dead memory of the past, assumes the form of a personality focussed on the end towards which it strives. The fatherland is, thus, a mission. Reading his brand of fascism, you can see why it went down easier with the American public than the English or German models. It was no more or less than the celebration of the state as the center of life, and a proclamation of the death of old-world freedom and democracy. In short, Gentile struck a chord in US political life for his description of the prevailing ethos of the New Deal itself. TS Eliot (1888-1965) seems like an implausible candidate for inclusion in this gallery of rogues, simply because this paragon of civility and erudition is so widely championed in the annals of anti-liberalism. The American-born Anglophile is the author, after all, of the most famous and revered poem of the 20th century, “The Waste Land“ (1922). Its impenetrable narrative captures the post-WWI despair of the English-speaking world, giving the impression that it was not only the war that civilization should regret but the whole of what life had become in the age of mass commerce. Nothing is salvageable, and everything is corrupt. C.S. Lewis, who regarded Eliot’s work as nothing short of “evil,” said of this poem: “no man is fortified against chaos by reading the Wasteland, but that most men are by it infected with chaos.” What is that chaos? It is the dark longing for some long-dead past and a conviction of the irredeemability of the present, an attitude which is anathema to the classical liberal tradition that sees hope and wonder in what freedom can achieve. It is not a stretch to see Eliot’s literary contribution as part of the entire Modernist literary project in England to put down and condemn everything that capitalism had done for the world. For Eliot in particular, the cost was the integrity of culture itself. A growing amount of scholarship has taken Eliot to task for his sympathies for the Eugenics movement and his consistent worry about the rising birth rates among the lower classes in English culture. But this should not be surprising at all. It is but a small step from regretting the advance of mass consumerism to decrying the rise of mass population expansion made possible by prosperity. In the end, the problem with Eliot is not nearly on the scale you find in the other writers in this tradition. He nowhere defends totalitarianism or anything like it, though you do pick up a hint of authoritarianism. But what he represents is an underlying problem that is universal among this strain of anti-capitalist writers. 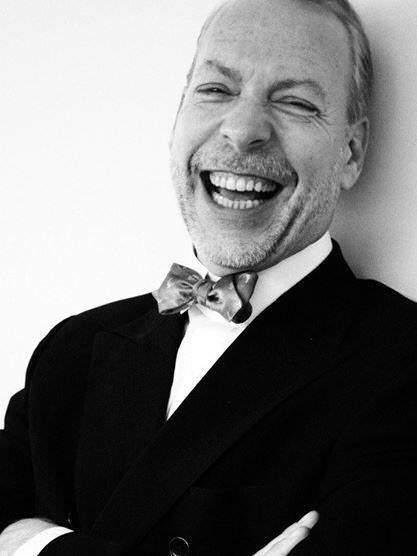 The problem comes down to an intractably aristocratic snobbery that feeds a deep suspicion against freedom and tempts intellectuals to imagine that if we only constrained that freedom and replaced it with wise controls over our social, cultural, and demographic destiny, we might be saved from the decay and corruption into which the liberalism of the 18th century plunged us. Despots thrive off just such convictions. What you find in this tradition is a very different template from Marx and his school for criticizing the freely evolving society celebrated by the liberal tradition of Adam Smith and Frederic Bastiat. The non-Marxist version has no fundamental objection to religion, nation, family, and even property, provided everything is directed toward the single goal of fortifying the collective. What they share in common is a conviction that the freely evolving commercial society is unsustainably corrupt; society does not contain within itself the capacity for its own self-ordering; and human relationships are not capable of achieving universal harmony absent conscious design by states, powerful leaders, and intellectuals. Their vast influence over the bloody politics of the 20th century is strangely forgotten, and the tradition of thought they represent papered over during the Cold War, which rerendered the only political conflict as the West vs. Communism. The ideas of a rightist form of totalism was lying in wait for the moment to re-rear its ugly head. Knowing this helps us understand the new politics of our time. Freedom is threatened from two ends, the right and left. The idea of liberty really does represent a third way, a path lit by the hope in the kind of civilization that can be built not from the top down but from the bottom up, not through the force of power but by voluntary associations of regular people who aspire to live better lives.